Charles Darwin | My journey on becoming full-time designer. 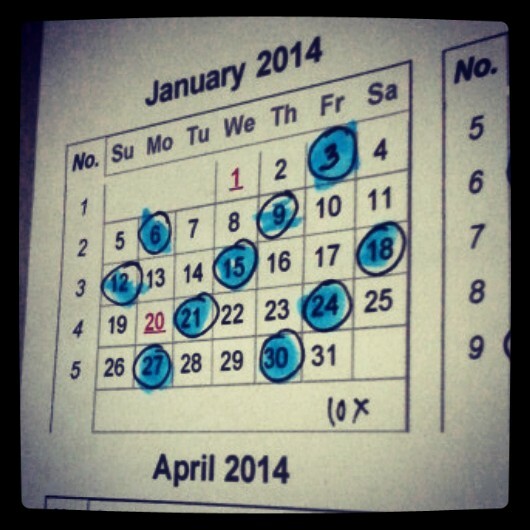 Post 7: Working week is sorted… for a while! 115 to go! So here we are. Another post. 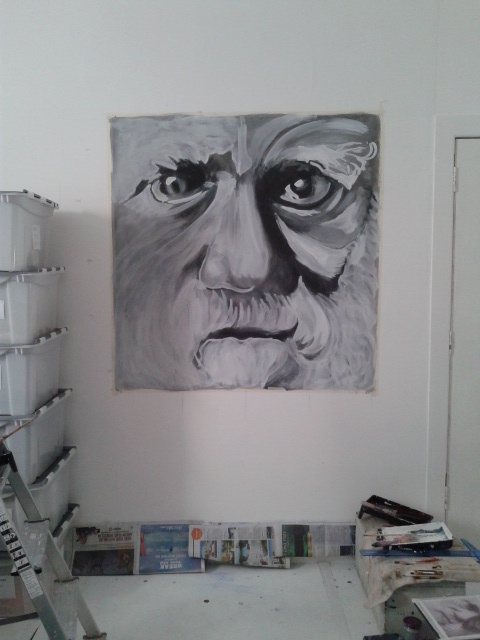 I was hoping this will be the last one with Mr. Darwin, but I am feeling like hibernating for the last few days and I also have been out being entertained by the big Hollywood screen, so improvement is not as expected. I basically need him off my wall by Friday, painted over with white and get ready for new one. Deal with myself! Done! There have been few changes with other work. I got offered regular shifts for the next few upcoming weekends, which is very cool meaning I can focus on painting, interpreting etc. (eh did I mention fun?) during the week, however time between Friday morning and Sunday afternoon will be a bit more manic. Let’s hope for better weather. Yes, still cycling and not anywhere the car option. The magic of getting work from word of mouth has worked and tomorrow I am doing an assignment for new language agency, so fingers cross. There is nothing to worry about really as I have done similar work before, but you know what it is like working for someone new, you do not want to disappoint them. Yours Kat. P.S. Oh just to say in case you have missed it, new series of Mr. Selfridge is back on tv! That has definitely made my day. Hooked once again from first few minutes! Post 6: One Day You Will Forget, Where You Left Your Head! 116 to go! My mother always used to say: “Kat, one day you will forget, where you left your head!” She was obviously commenting on my carelessness of homework I should have done, gloves I left God knows where and the obvious household chores I meant to be doing. Well there are some things we all know we forgot purposely, but we are just playing it cool. However recently I am little fearing I am forgetting more than I should be. Of course I know when to go to work and when to pay the bills, but I have noticed that I am getting overloaded with short-term memory. I have adopted the David Allen paper note system, which works brilliantly, but there have been good few occasions, when I looked at the task, went on doing it, clicked on New Tab on my screen and thought: “What was I doing?” Feeling idiotic, I had to have little think, than looked at the paper again and went: “Oh yeah I know!” I mean seriously? At my age? What is going on? I can remember stupid little things, which happened weeks ago, but I cannot remember what to do right now?! I wrote all this out of anger just now after picking up my phone and realizing I have no idea what I was going to do. My head has been overloaded with quite few issues over the past weeks, which are quite important, so I guess this must be a way how my brain is dealing with it. 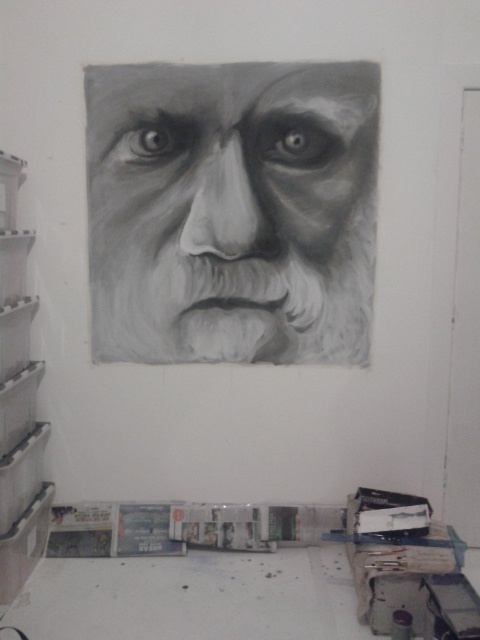 (Or the excuse is that I am simply too disturbed, because every time I turn around from my computer I see a massive head of Mr.Darwin.) With love Kat.